DEF LEPPARD cancelan 10 conciertos en EE.UU. Def Leppard han cancelado las 10 fechas restantes de su gira por Estados Unidos. El vocalista Joe Elliott sufre un problema de garganta y ha recibido la orden de descansar. La gira se inició el 27 de enero, pero ya en el primer concierto en Greensboro, Carolina del Norte, se retiraron debido a la enfermedad de Elliott. Tocaron en Fort Lauderdale, Florida, el 29 de enero, pero el concierto de la noche siguiente en Orlando también fue cancelado. La banda ahora ha confirmado que todas las fechas restantes están canceladas, pero han prometido que las reprogramarán. En un comunicado, la banda dice: "Def Leppard han pospuesto las fechas restantes de su gira de invierno 2016 por enfermedad. Todos los conciertos desde el 2 de febrero en San Antonio, Texas, hasta el 17 de febrero en Allentown, Pensilvania, serán reprogramados - incluyendo nuevas fechas en Greensboro, Carolina del Norte, y Orlando, FL. "Los detalles sobre las nuevas fechas se anunciarán pronto. Las entradas serán validas para las nuevas fechas." En Twitter, el batería Rick Allen dijo: "El doctor dijo básicamente que si Joe sigue cantando sin descansar la garganta por un mes, se podría generar un daño permanente." Def Leppard have cancelled the remaining 10 dates on their winter US tour. 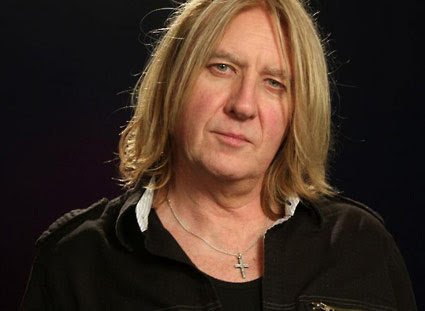 Frontman Joe Elliott is suffering from a throat problem and has been ordered to rest. 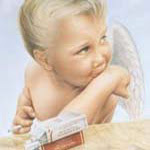 The run of shows only kicked off on January 27, but that first show in Greensboro, North Carolina, was pulled due to Elliott's illness. Def Lep did play in Fort Lauderdale, Florida, on January 29 but the next night's show in Orlando was also pulled. And the band have now confirmed all remaining dates are off, but have promised to reschedule them. In a statement, the band say: "Def Leppard have postponed the remaining dates on their Winter 2016 tour due to illness. All shows from February 2 in San Antonio, TX, through February 17 Allentown, PA, will be rescheduled – including the previously postponed dates in Greensboro, NC, and Orlando, FL. "Details on new dates will be announced soon. Tickets will be honoured on the rescheduled dates." On Twitter, drummer Rick Allen says: "The doctor basically said that if Joe continues to sing without resting his throat for a month he might do permanent damage." Last year, Elliott revealed he had been suffering from bronchial spasms, saying doctors had no explanation for his coughing but that he believed it was brought on by dust and gas emissions at biker festival they had played previously. Elliott was also forced to sit out a performance on Def Lep's Hysteria On The High Seas cruise last week. DEF LEPPARD nuevas fechas en EE.UU. DEF LEPPARD: nuevo DVD "And There Will Be A Next Time - Live From Detroit"
El nuevo directo de Def Leppard saldrá a la venta el 10 de febrero a través de Eagle Rock Entertainment. "And There Will Be A Next Time - Live From Detroit" será lanzado como DVD + 2CD, en Blu-ray + 2CD y en descarga (Video). Legendary rockers DEF LEPPARD excited and thrilled fans nationwide with their massive 55-plus-city summer 2016 North American tour. DEF LEPPARD will now share their masterful performance on DVD and Blu-ray. On February 10, Eagle Rock Entertainment will release their epic concert film "And There Will Be A Next Time - Live From Detroit" on DVD+2CD for $21.98, Blu-ray+2CD for $26.98, and Digital Video. DEF LEPPARD: video adelanto de "And There Will Be A Next Time - Live From Detroit"
El 22 de abril (Record Store Day 2017), Def Leppard lanzará una replica de su primer EP "The Def Leppard EP" a través de UMC / Mercury. Esta publicación marca el inicio de una serie de lanzamientos en los próximos años. UMC/Mercury will release of "The Def Leppard EP" in conjunction with Record Store Day 2017. This release marks the start of a series of catalogue releases over the next few years for DEF LEPPARD. April 22 will see DEF LEPPARD release their original first EP with replica art and picture cover. This is a 12-inch version of the EP playing at 45rpm — a one-off special for Record Store day and the first time it will be available in that format. The release is fully supported by the band. Def Leppard celebra el 30 aniversario de su álbum "Hysteria", uno de los lanzamientos más vendidos e influyentes en la historia de la música. Hysteria (Remastered 2017) saldrá a la venta el 4 de agosto, será lanzado en varios formatos a través de Bludgeon Riffola / Mercury / UMe-Super. La reedición cuenta con B-sides y pistas en directo, además del audio de "In The Round In Your Face" en CD por primera vez. one of the best-selling and most influential releases in music history, with the release of Hysteria (Remastered 2017). Set to debut on August 4, the remastered anniversary edition will be released in various formats via Bludgeon Riffola/Mercury/UMe—Super Deluxe Edition, Deluxe Version, 1 CD Vanilla Version, 2-LP Black Vinyl Version, & limited edition 2-LP Colored Vinyl Version. The reissue boasts B-sides and live tracks, plus the audio for “In The Round In Your Face (Live)” on CD for the first time. Def Leppard ha participado en "Spotify Singles", grabando un nuevo tema y una versión que lanzará en exclusiva Spotify. La grabación tuvo lugar en Nueva York el 16 de mayo, y por ahora, la banda no ha anunciado que temas han grabado. DEF LEPPARD has recorded a session at the Spotify studios in New York. The two-song session was taped on May 16 and will be aired at a later date as part of the streaming service's "Spotify Singles" series. "Spotify Singles" was launched in 2016 and features artists recording at least two live songs — an original and a cover — for release exclusively on Spotify. As the name suggests, the "Spotify Singles" concept channels back the good old days of vinyl and CD singles. The first round of "Spotify Singles", which launched in November 2016, gave users access to new music by more than 20 artists, including John Legend, Grouplove and Lindsey Stirling.